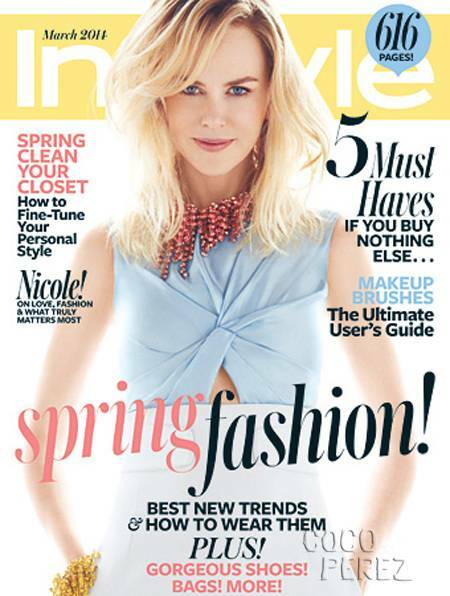 InStyle’s March 2014 cover with Nicole Kidman is STUNNING! She looks effortlessly beautiful in Christian Dior and the mix of yellow, coral pink and baby blue reminds me of a fresh Spring day. Sighhhhh. I certainly have a case of the winter blues, so this cover is making me extremely happy right now. Will definitely have to pick up a copy tomorrow.